This was our first Christmas in Charleston, a new city hundreds of miles and 9 hours away from our family and friends. To say I have been homesick this holiday season would be an understatement. I don’t miss the freezing cold temperatures of winter in West Virginia, but I sure am missing my Mom, my Aunt Lois, my sister-in-law, my oh-too-cute niece and nephews, and my in-laws. Thankfully, my Dad and Step-Mom made the 10+ hour trek down to spend Christmas Eve and Christmas day with us. That helped a lot and made it feel a more Christmasy than it has been this year. If I could just scoop my family up and relocate them all to Charleston I would feel a million times better about living here, because I really do love the area, I just hate being so far away from my loved ones. Anywho, we did end up getting a real Christmas tree this year, which is something I haven’t had since I was little. It was actually pretty fun picking out a tree, and the cats loved smelling it and rubbing their cheeks on the branches. 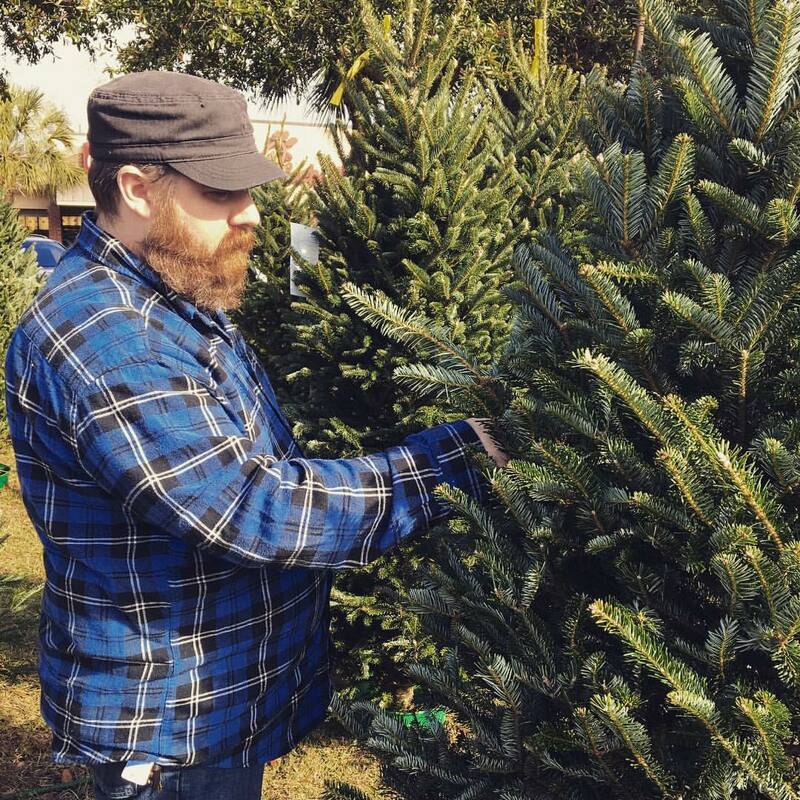 Look at that handsome bearded man picking out Christmas trees! 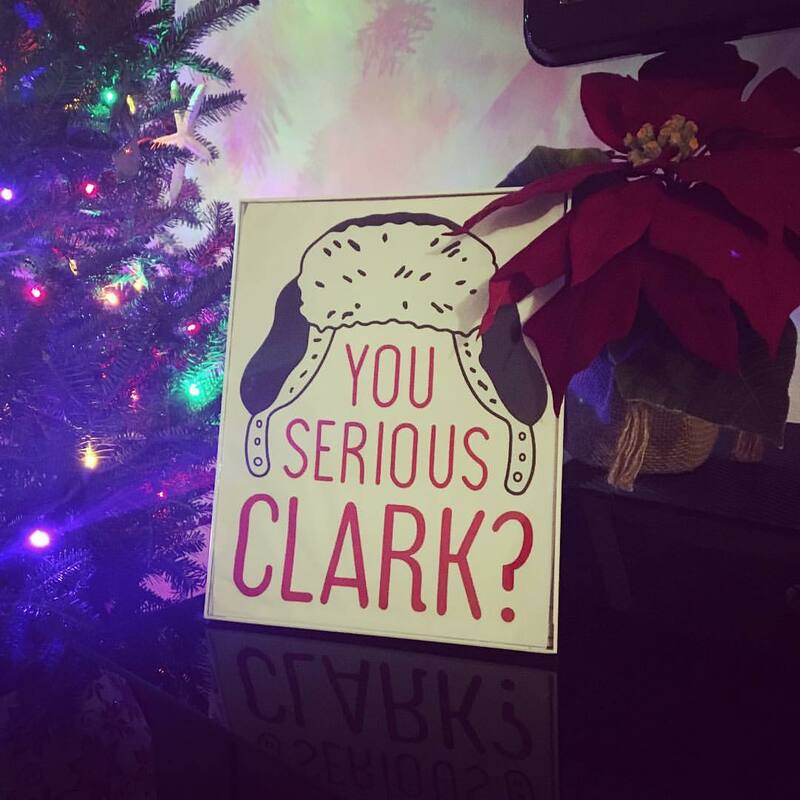 This is by far my favorite Christmas decoration. Love it! 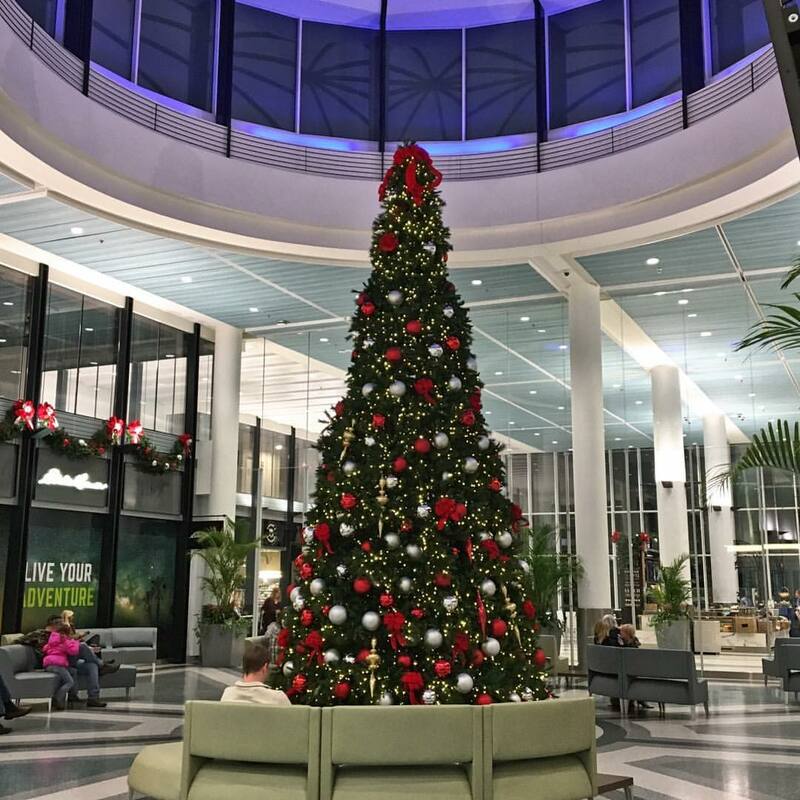 We picked Raven up from the Charleston International Airport (she spent 2 weeks in England) and it was decorated so nicely for the Holiday season. 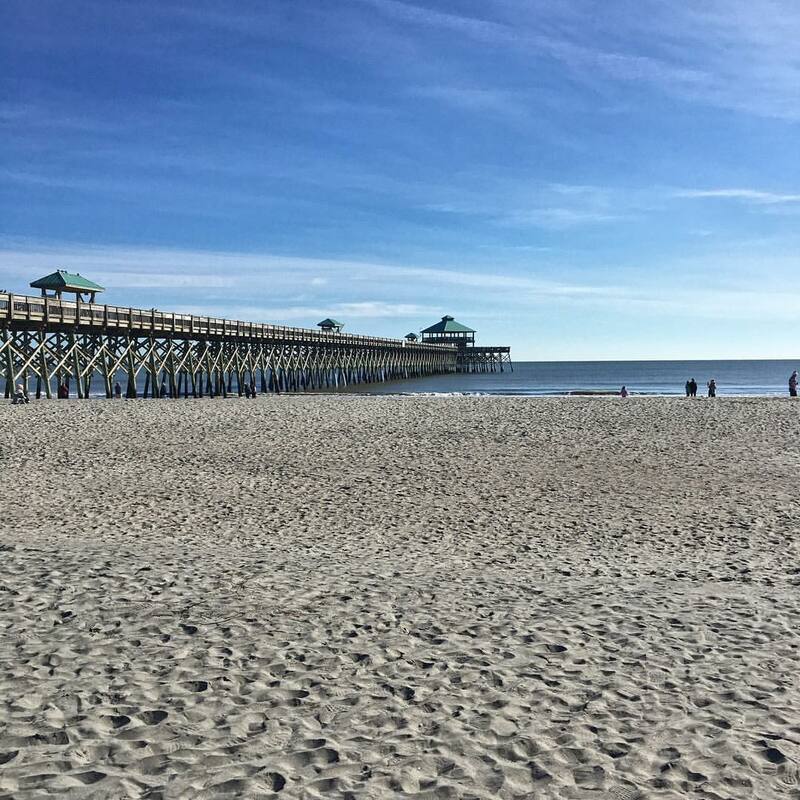 We spent a few hours walking along Folly Beach on Christmas day. Mike ended up finding another shark tooth, which makes his total of shark teeth found since moving down here to 4. I cannot believe that Christmas is only a few days away and then, in a short week, we will be ringing in the New Year. Does it seemed like 2016 has flown by way too quickly to anyone else? Anywho, I am happy to say that this Christmas is unlike the last so many where I was rushing around trying to finish the necessary gift buying before the 25th. All of our Christmas shopping is done! In fact, I got the most important people bought for before December 1! I know, I can hardly believe it myself. But I did, thank the good Lord! So this December I haven’t been stressed, at least not anymore than normal, or worried. And let me tell you, it has been nice. I am planning on writing the whole 2016 recap blog post that I, and just about every other blogger, does every year so check back for that, or not, you know whatever. Merry Christmas, Happy Hanukkah, Happy Kwanzaa, Happy Holidays! This past summer I decided to throw away our Christmas tree. We have had it for way too long, something like 15 years I think, and needed a new one. But I just cannot bring myself to pay full price for an artificial tree when I know, in a few short weeks, they will be clearanced after the holidays. So, we considering getting a live tree this year. Mike and Raven have never had a live Christmas tree and I thought, if there was ever a time to have a live tree it would be now. But then I thought, how the hell am I going to keep the cats from a live tree? 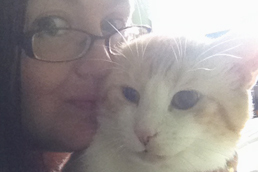 Pine can be dangerous for cats and, as I am sure you know, my cats are my babies and I don’t want to do anything that puts their health in jeopardy. So, I’m not sure what we’re going to do. It seems so odd, though, not having the tree up. Typically, the Christmas tree would be up and decorated by the first week of November. Here we are, almost into December, and we have no tree. But I really, really don’t want to spend $150 to $200 (if not more) on an artificial tree when they will be marked down by at least 50-percent the day after Christmas. I am, however, going to spend today putting up the other Christmas decorations so it will at least look a bit festive with or without a tree.